This aerodynamic tube office, designed by Spanish architects Jose Selgas and Lucia Cano, allows its workers to feel as though they’re working in the middle of a picturesque Spanish forest. 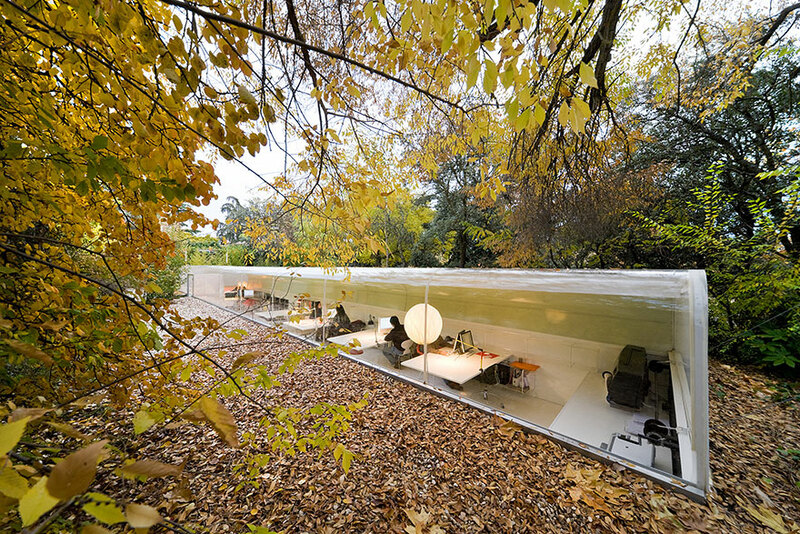 The office building’s sunken floor, along with the large and unusual window, means that employees sitting at their desks have an eye-level view of the forest floor. This, combined with the view of the forest on one side and the sky above, make it seem like the office must be a fairly relaxing place to work. Imagine working every day in a sustainable building surrounded by a beautiful forest!